Great customer service!! Tina was so helpful!! Great coustomer service Everyone was so friendly. they worked and found me the lowest interest rate. I recommend tri city Chevrolet to anyone looking for a new vehicle. 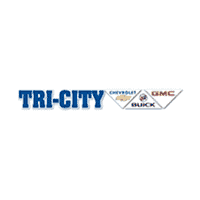 Welcome to Tri-City Chevrolet Buick GMC! At Tri-City Chevrolet Buick GMC in Eden, our entire team works together to provide you with the ultimate shopping experience. Reidsville and Stoneville Buick, Chevrolet, and GMC drivers, we are here to exceed your expectations, deliver the best service possible, and make car shopping fun again. At your Eden GMC, Buick and Chevrolet vehicle source, we offer you great deals on quality trucks. We have the Chevrolet Silverado 1500 and the Chevy Silverado 3500HD. These heavy-duty trucks help you get off-line, off-road and off the grid, sometimes all at once. If you are looking for a GMC truck in Eden, try out the Sierra 1500. This high-performance truck offers a 5-star overall side crash safety rating from NHTSA, the widest range of full-size pickup V8 gas engines and so much more. Danville GMC, Buick and Chevrolet customers can also stop by our dealership. Madison and Yanceyville Buick, Chevrolet, and GMC customers, come in today to test drive these or any of our trucks, cars or SUVs. We’re just a short drive from these surrounding cities: Stuart, Stanleytown, Martinsville, Eden, Madison, Summerfield, Reidsville, Pelham, Yanceyville, Danville, Blairs, and South Boston. Stop by today!